I recently discussed the “Magic Factory” with my girlfriend to see what she thought about a Grand ReOpening. 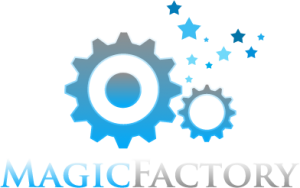 Oh, what is the Magic Factory? It’s a place I walk into mentally with one, or two, maybe three ideas and blue sky what might happen if I built applications around those ideas. I’ve had a bunch of ideas up on AgileZen waiting to be unpacked and built but just lost the fire last year about this time to pick up my tools and start writing software again until this conversation happened. But after trying all last year to relight the fire, all I could render was a spark and that was about it. Then last month our shop announced Hack Day 2014 – hmm… how could I pass that up, right? Our shop is going to give us 24 hours to build something from scratch then present to leadership the next day. The 1st, 2nd, and 3rd prizes were pretty sweet, but it wasn’t about winning for me – it was a test to see if I could start and finish – something you take for granted when you a bit less gray over the ears. So, freakin’ sign me up! I found a great (and smart) peer on my team who wanted to help build something in 24 hours from scratch. I thought this would be the real test to see if I could pry the doors open on this place I used to spend so much time in. ← Mobile First. Cloud First.